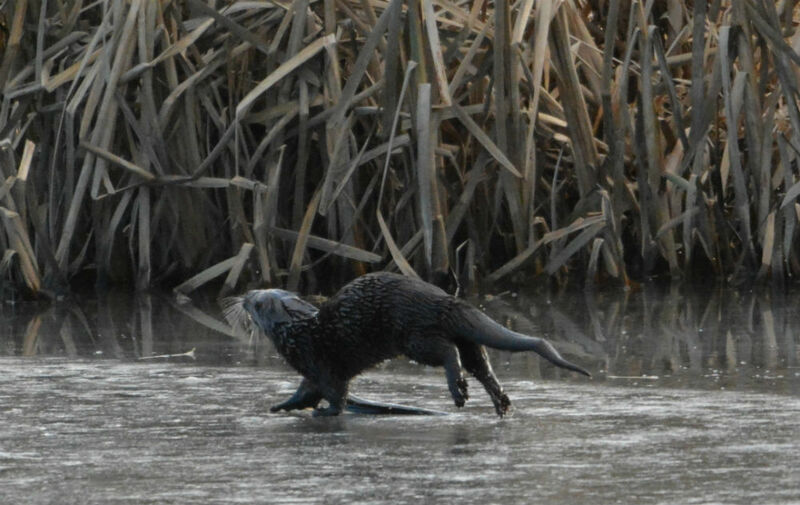 PICTURES show a determined otter hang on to its eel dinner – despite falling through ice and being chased by a heron. The dramatic battle was caught on camera by Ally Dowd during a visit to Baron’s Haugh RSPB Reserve, Motherwell, North Lanarkshire on Monday. 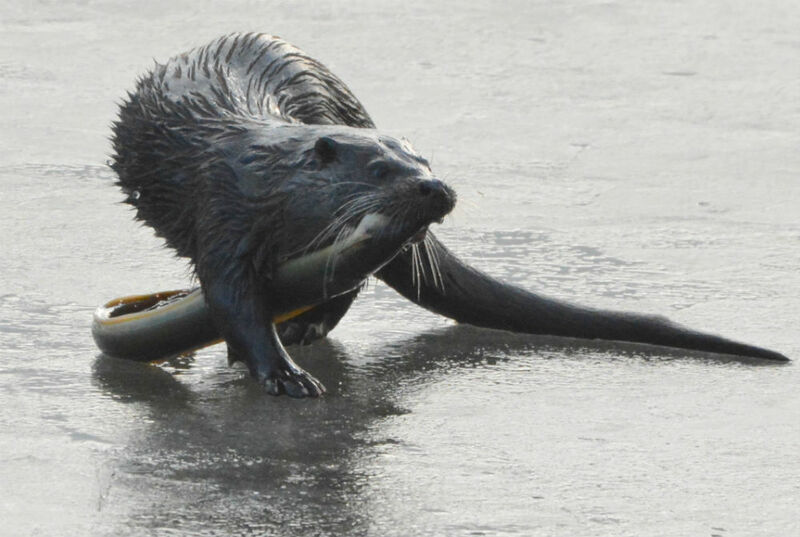 The first image shows an otter with its meal, a long eel that stretches as long as the otter. 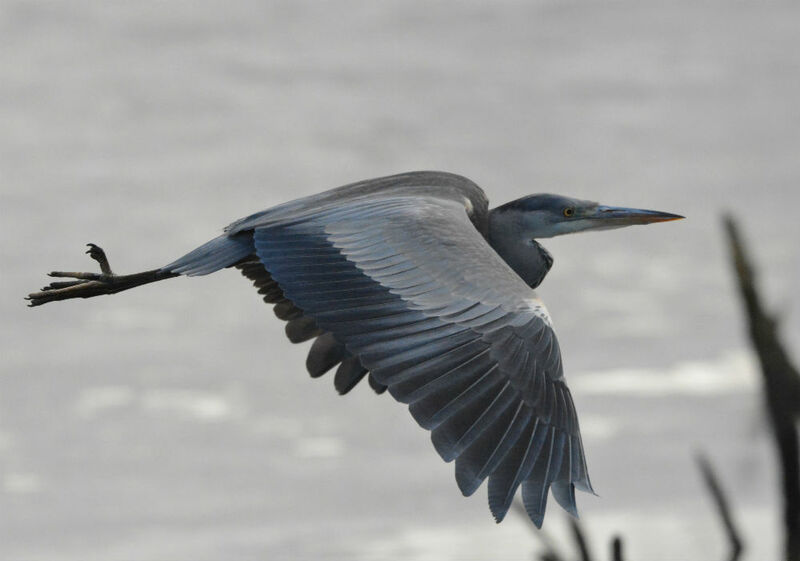 The second image shows a heron gliding in the air just above the frozen loch as it scans the area for prey. 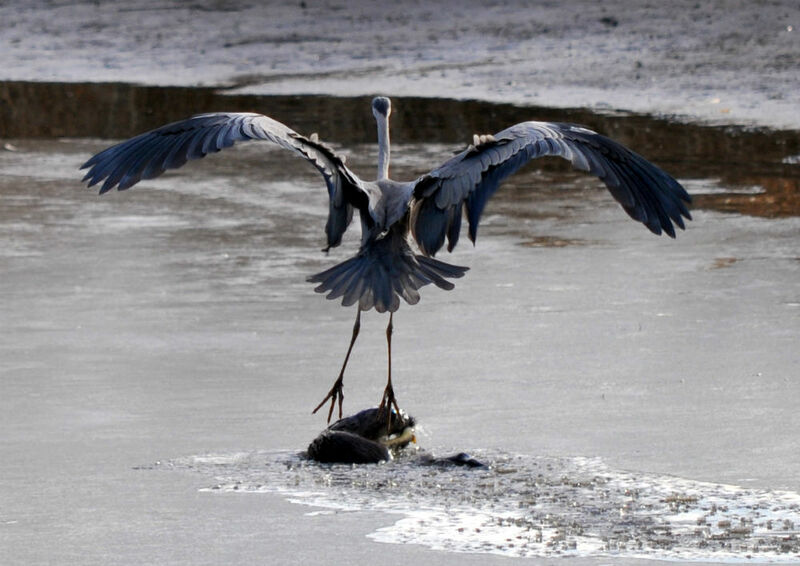 However, the otter forced as the heron swoops but crashes through the ice. 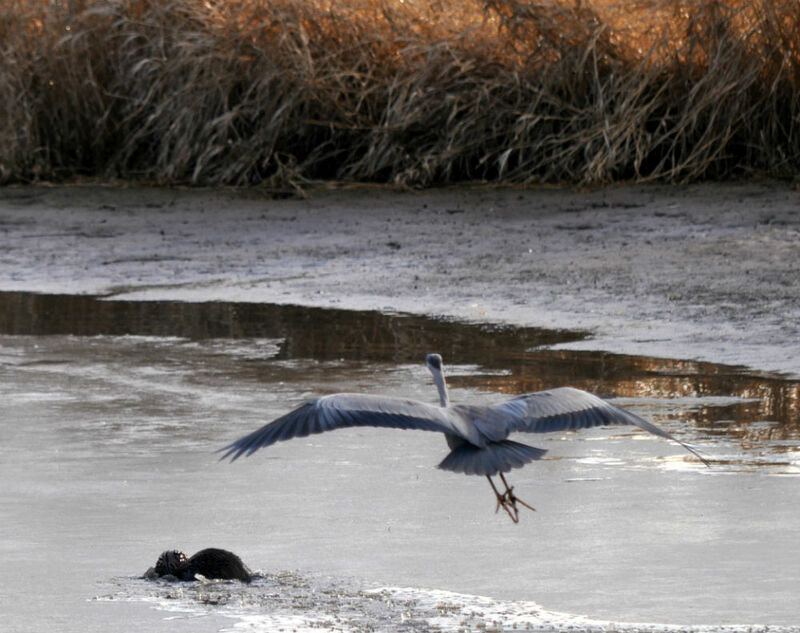 This allows the heron to catch up and the race is on as the otter desperately tries to evade the swooping heron which is gaining on the mammal. Thankfully for the otter, it manages to make the safety of the bank and scurry away with its hard-won meal.